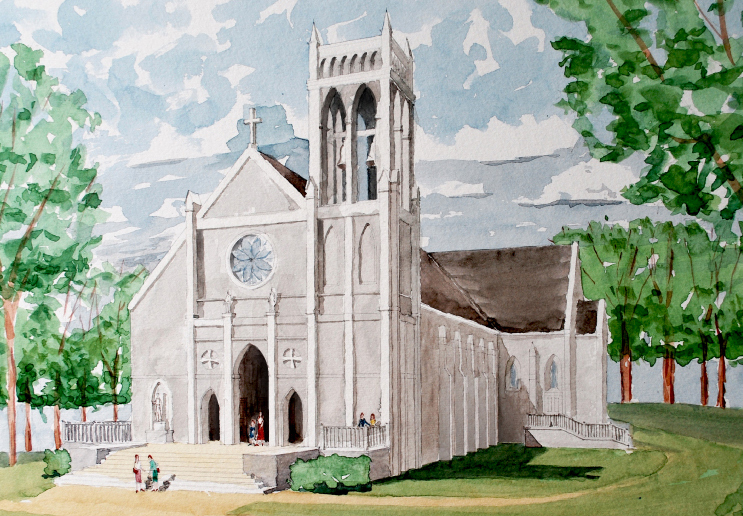 We were commissioned to design a space for the parish of St. Jude Catholic Church, which was previously housed in temporary facilities near Fredericksburg, Virginia. 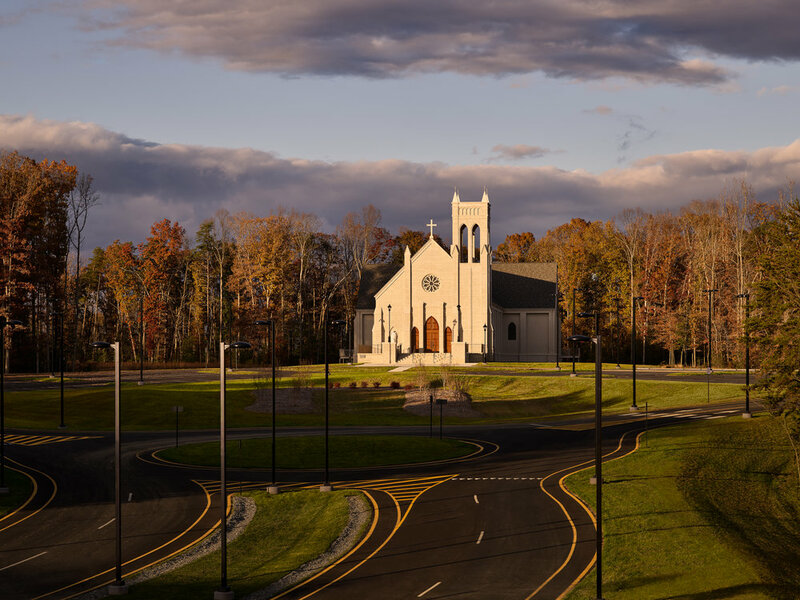 This traditional Catholic Church architecture project is the development of the parish’s beautiful 20-acre site in Spotsylvania County. The church is laid out in a traditional cruciform shape, has a seating capacity of approximately 730 congregants, and features a choir loft located above the entry narthex. On the floor below is a multi-purpose room for fellowship and education activities as well as parish administrative offices. A 60-foot tall bell tower, a rose window, and three arched portals mark the entry of the church. 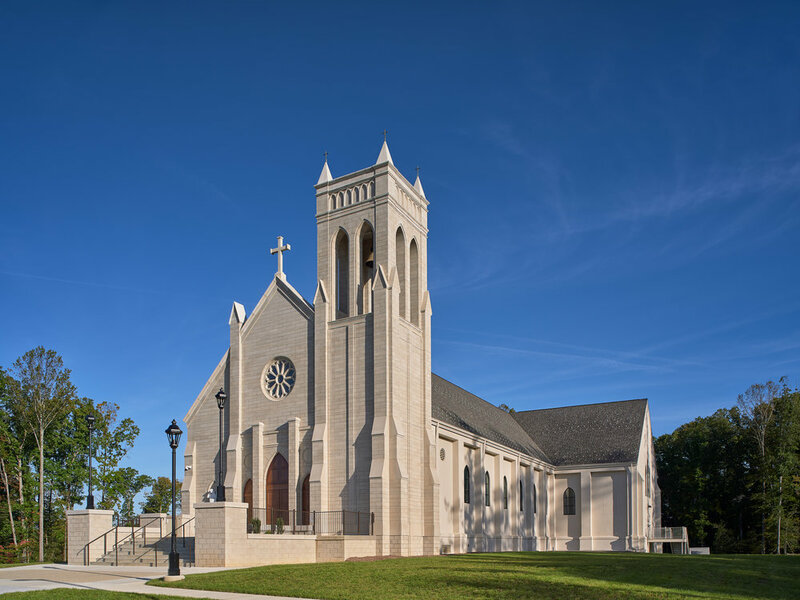 Our architecture firm in Virginia specializes in merging the time-honored traditions of Catholic Church design with modern innovation.